The South Korean car manufacturer, Hyundai Motors, has unveil its new product, Hyundai Grand i10. It is full of the features like a sedan and exteriors like a hatchback. After the launch of this hatchback this segment of the company become rich with variety of vehicles. 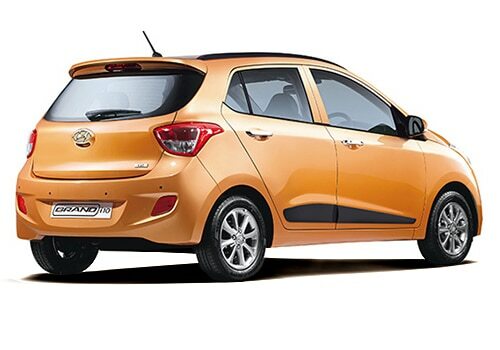 The company has mixed up the I10 and I20 to make this exciting and charming hatchback. The Hyundai cars are famous for their sedans and hatchbacks and it has established itself in the Indian car market easily. The company is fulfilling the preferences of the Indian buyers and it is also perfect in its price range. The Hyundai Grand i10 price is very impressive and affordable for the middle class as well as. The company has not announced the exact price but it is expected that the starting price will be Rs. 5.50 lakh (Ex-showroom, New Delhi). Since, it is larger than its previous model that is why it is expected that it has more space and larger boot space. It is expected to be offered with both petrol and diesel engine options. The 1.2-litre petrol engine deliver a maximum power of 82.9bhp of power at 6000 rpm and a maximum torque deliver from the engine is113.7Nm at 4000 rpm. But the power and torque of the 1.1-litre diesel engine is not disclosed by the hyundai cars but it is expected to be healthy. The acceleration and pick up and the mileage of this yet to be launched vehicle is also good but the company has not made any announcement about this. This upcoming vehicle is mated with a proficient and a smooth five speed manual transmission gear box. The Hyundai Grand i10 features are very innovative and the hatchback is advanced from its previous models. The interiors and exterior both are eye-catching. The seating arrangements of all the five passengers are very comfortable with an ample space of leg room and head room. The company has blessed this with quite a few storage space, where we can easily keep some handy things while touring and also has a big boot space for ample of luggage. Apart from these, there are various other features in the hatchback, such as safety and entertainment aspects, which makes it comfortable and convenient. The exterior of the car is inviting and it makes the Hyundai Grand i10 pictures more captivating. The company has bestowed this with wonderful grille, body coloured bumper, air dam, bright head light cluster, a pair of fog lamps, out side rear view mirror and many other such features, which makes the pictures awesome. 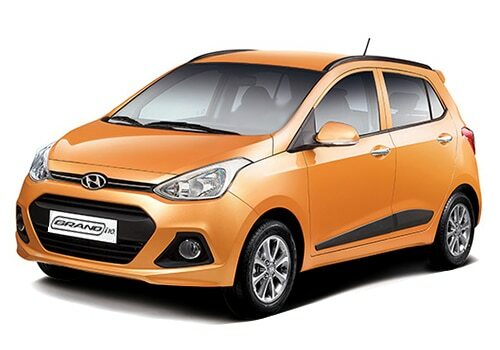 Hyundai also launched a new iTech version of Hyundai i10 with some exciting new features.